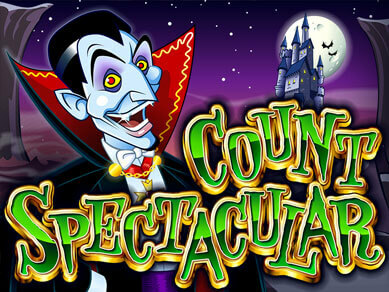 An attractive online slot with great game play and bonus features. One of our favourites. 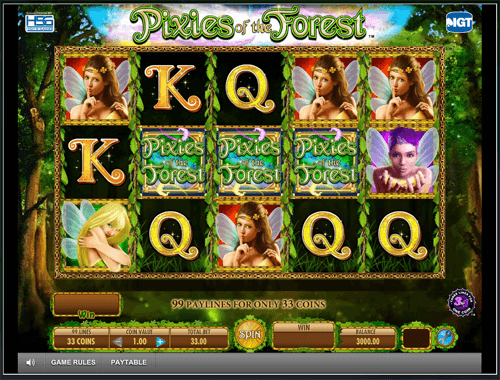 The Pixies of the Forest slot is one of the most popular slots to play in Las Vegas. Well it’s counterpart, ‘Secrets of the Forest’ is, and the online version hasn’t been short of players either. Pixies of the Forest is a 5-reel slot with 99 fixed lines and is produced by the popular and well-established software providers IGT. IGT, which stands for ‘International Game Technology’, have been producing slots for many years and have produced some of the most popular online slots such as Cleopatra and Monopoly. The Pixies of the Forest has proven to be another hit to add to their list. 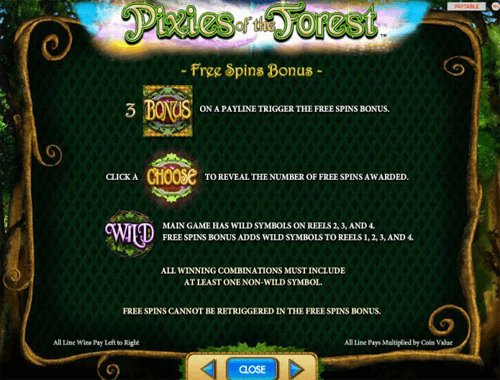 Pixies of the Forest is a 33 coin slot and so you can play for as little as 33p per spin, all the way up to £99 per spin. The Jackpot is won by matching 5 ‘Pixies of the Forest’ symbols in a row which pays a huge 2000 coins. You can change the coin value and so the jackpot amount depends on how much your spin stake is. The Pixies of the Forest slot is set in an enchanted forest and each of the symbols display various beautiful pixies with different hair colours. The graphics are very attractive and the sounds are soothing yet exciting. We really can’t fault the look and feel of this slot and it is very enjoyable to play. Here are the bonus features you’ll find on the Pixies of the Forest slot. Free spins are awarded when 3 bonus symbols land on a payline. When this happens you will be asked to choose one of 3 buttons. Each button awards you with a different amount of free spins. 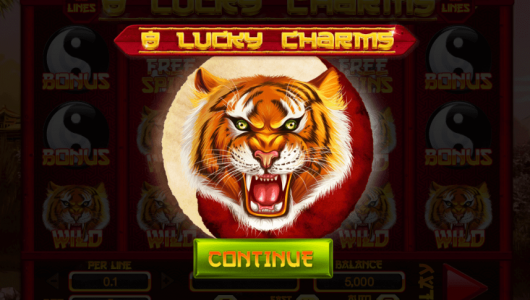 When playing through your free spins you will also be given an extra wild symbol on reel number 1. In the main game there are wild symbols on reels 2,3 and 4 but in the free spin round they are on reels 1,2,3 and 4. See the picture below for more information on The Pixies of the Forest free spin round. Tumbling reels are a great feature on IGT slots and are included in The Pixies of the Forest slot too. When your spin lands you a winning line you will collect that win and then all the winning symbols will disappear and will be replaced by more symbols. This gives you a chance to win multiple times from one spin. Winning symbols will continue to be replaced until there are no more winning lines. 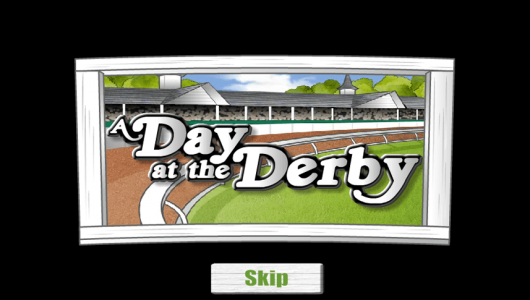 The Tumbling Reels feature is also available when you are playing with your free spins. If you’re looking to play The Pixies of the Forest slot on the move then you’re in luck. 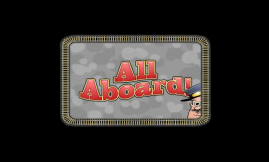 The mobile version is available to play on all mobile devices and tablets and works as smoothly as it does on your desktop. As mobile phones and tablets actually have a higher resolution than most PC monitors, this slot actually looks better on your mobile device! The Pixies of the Forest slot is incredibly fun to play. We love the graphics and sounds which can keep you pleasantly engrossed for hours. The free spins tend to come around quite frequently which is always a good thing and the tumbling reels simply make it easier to win more with less at stake. It’s no suprise that this slot is so popular online given the success of its counterpart ‘Secrets of the Forest’ in land-based casinos. However, take a look for yourself. 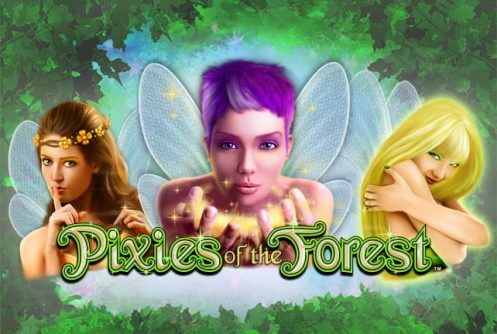 There’s a free play mode on all the casinos we’ve listed on this page where you can play The Pixies of the Forest Slot.